Ever wish you had access to an unlimited supply of goods and services? Ever wish you could trust the retailers you do business with? Are you looking for ONE place that could give you the savings, security, services and selections you deserve? Welcome to the World Marketing Network's "Retail Network" Consumer Discount Program. Our business model has given the consumer a wide variety of retailers to choose from when satisfying your shopping needs. Let us introduce you to the "Key to the City!" It's called the VIP GOLD Power Card. Have you ever wondered what real buying power was like? Have you ever wondered what it would be like to cut in front of the line? No Waiting - No Red Tape - No Excuses!! All General Partners are required to list select discount items for WMN Power Card Customers. All General Partners are required to list select items for WMN Power Card customers to bid on. All General Partners are required to introduce "Exclusive" Holiday Specials that can't be found on any other website or retail facility. All General Partners are required to offer FREE shipping on select items. All General Partners are required to offer select items for promotional giveaways. Items can include anything from store credit to FREE vacation packages. Power Card Holders will be notified thru a WMN customer service representative. 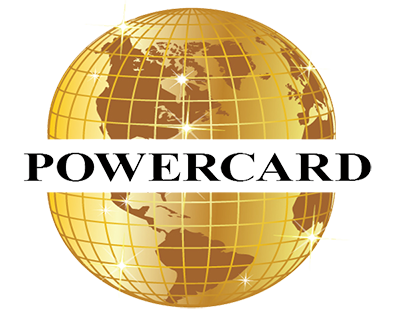 The Power Card is a card, physically similar to a plastic Credit Card, that entitles the holder to discounts on products and services from our participating General Partners. VIP Cards are issued to our retail clients as part of our loyalty program to ensure entitlement through the World Marketing Network. NOTE: There is a one time investment of $100 at the point of purchase. A portion of the proceeds from the sale of the card will be donated to our preferred charity!